Update: Anker's 4-Port USB 3.0 Data Hub with Individual Switches is be available to order via Amazon US for a cost of $12.99, and should begin shipping on September 17. Anker is preparing to release another 4-Port USB 3.0 Data Hub, but this is their first with individual switches.... Take a look! 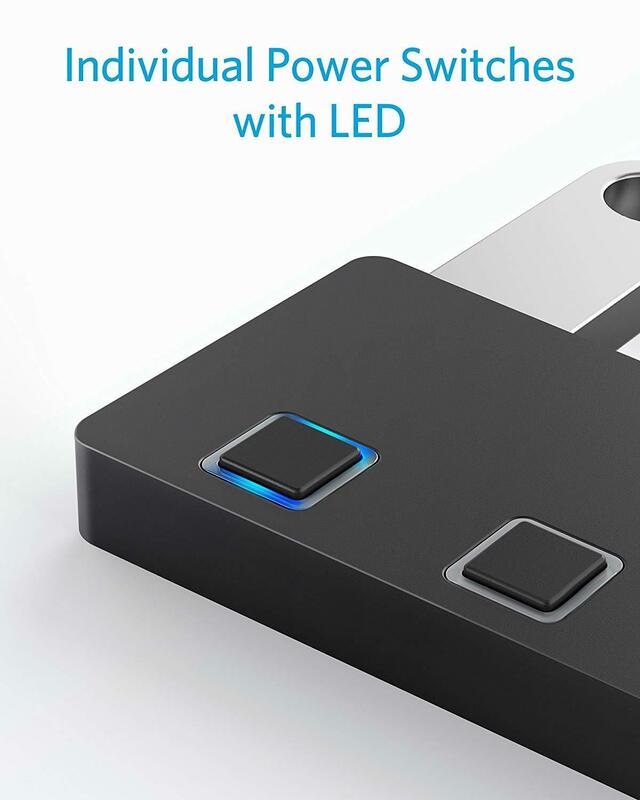 Four-in-One: Transform one USB port into 4, letting you plug more in and be more productive. Convenient Control: Individual power switches for each USB port make swapping peripherals a breeze. Universal Compatibility: Optimized to operate flawlessly with almost any USB device. High-Speed Data: Transfer music, movies, or years of photos in seconds with 5 Gbps speeds. What You Get: 4-Switch 4-Port USB Data Hub, welcome guide, our worry-free 18-month warranty, and friendly customer service. 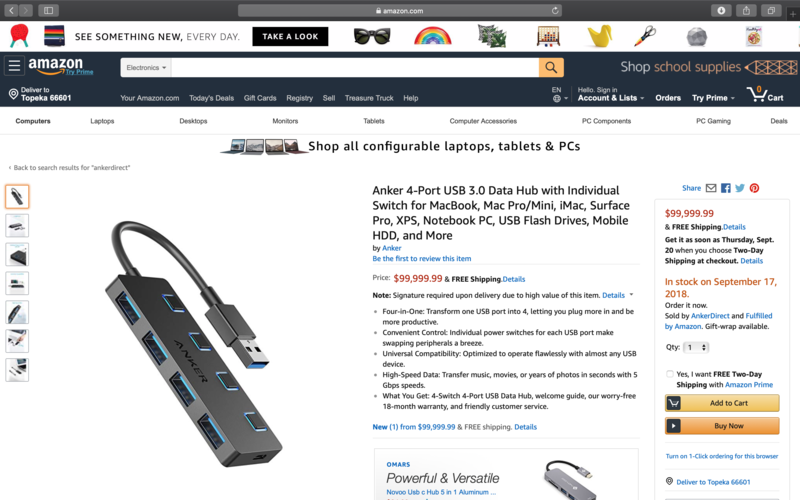 Pricing and Availability: Anker's 4-Port USB 3.0 Data Hub with Individual Switches is be available to order via Amazon US for a cost of $12.99, and should begin shipping on September 17. 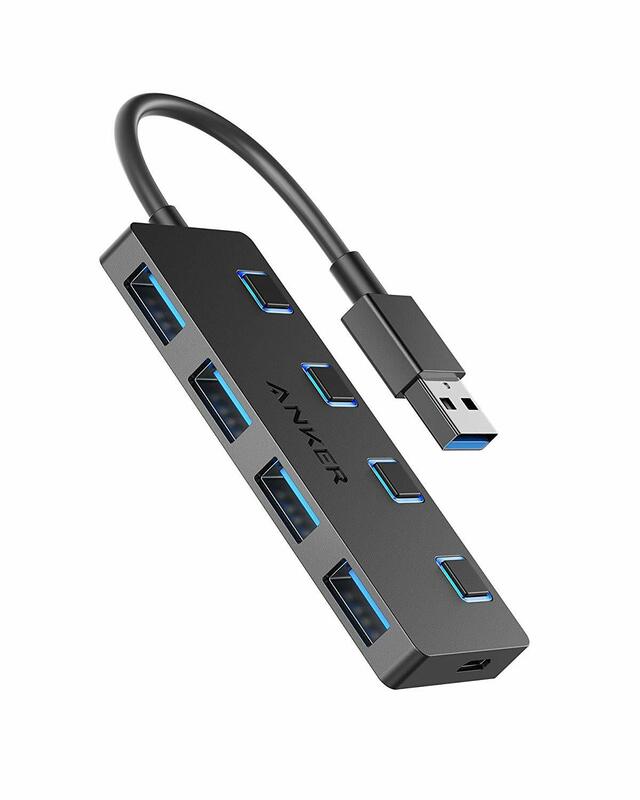 For reference, Anker's current 4-Port USB 3.0 Data Hub (without Individual Switches) is selling on Amazon for $9.99 at the time of this post. What are your thoughts on Anker's latest data hub? Would you find the individual switches useful? If so, do you want Anker to make a USB-C version? Let us know everything you're thinking by replying! I love the look of it ..... with the blue LED lights. I had something like this awhile back..... can't remember the brand but it crapped out after a short period. I'm sure Anker's will be wayyyyy better. Only thing that I would like to see with this is perhaps a longer cable. As is, it would be great for mobile users but for desktop users, the length of the cable may be a bit challenging. Do you know if it will have an additional power input so it can power multiple power hungry devices like hard drives? I've had this one for a while, and even though it works ok, I noticed that one of the ports seems to work the best when a plug is 2/3 of the way plugged in. The other 3 are fine, though. Can't wait to try this out! I also have the Sabrent would love to see how the two compare. Can’t say for sure, but there seems to be a micro USB port in the first picture. Oooh, that would be great. Imagine 4 Power IQ ports, and it just happens to be a USB adapter thing? It would be awesome. And yes, USB C is a must-have at this point. Didn't see that, nice catch. That's definitely a micro port. Excited for this one. Excited for this. I feel like Anker should make multiple versions. One that plugs into USB C ports and another that gives you more USB C ports. This would be a lot more compelling with USB-C.
Price has been corrected to $12.99. Available to order now via Amazon US and should begin shipping on September 17. What do people switch off with these types of plugs? Thumb/hard drives, lights/light strips, fans, speakers, webcams, card readers, mice keyboards, beverage chillers, scrolling led boards, audio equipment & email notifiers are the main USB devices that could benefit from a on off switch. If I am connecting my device to foreign ports, I'd like power only to avoid any possible data exchange with an evil port, e.g. skimmers or fake ports at airports. If I am connecting foreign devices to my equipment, I'd like to prevent unnecessary device installations, unexpected trust relationships, other auto usb behaviors. By way of example, I see some Android phones, attach in USB, charge only mode by default. Definitely a great idea you should add your idea to the thread below.